Since violence seems to be increasing around the world, does this indicate that Jesus’ return is soon? Early in the history of mankind, and not long after the fall of man in the Garden, “man began to multiply on the face of the land and daughters were born to them” (Gen 6:1), “The Lord saw that the wickedness of man was great in the earth, and that every intention of the thoughts of his heart was only evil continually” (Gen 6:5). Think about that; all that mankind ever thought about was doing something evil. Perhaps they were like the ancient Cretans who only spent their time thinking of something more evil to do. That’s what it had come too. All that mankind ever thought about, imagined, or devised “was only evil continually” or without stopping, so it shouldn’t surprise us that “the Lord regretted that he had made man on the earth, and it grieved him to his heart” (Gen 6:6), so God said, “I will blot out man whom I have created from the face of the land, man and animals and creeping things and birds of the heavens, for I am sorry that I have made them” (Gen 6:7). By this time in human history, “the earth was corrupt in God’s sight, and the earth was filled with violence. And God saw the earth, and behold, it was corrupt, for all flesh had corrupted their way on the earth” (Gen 6:10-11), so “God said to Noah, “I have determined to make an end of all flesh, for the earth is filled with violence through them. Behold, I will destroy them with the earth” (Gen 6:13). For those who lived in Noah’s day, the increasing violence was a sign of the end times, at least the their end times as the flood of God’s judgment was coming, but there is another judgment coming, and today, it seems that violence is also increasing around the world, so is this a sign of the end times? I believe it could be. There has been a surge in the last decade of domestic violence. One small example comes from Amarillo, Texas where violence is increasing and becoming more severe according to area crisis centers there. From 2009 to 2010 there were about 40 more cases of domestic violence reported in Amarillo and from 2010 to 2011, there were an additional 40 cases, but since 2011, Amarillo, Texas has averaged close to 100 or more victims. And, it’s never been more dangerous to be a law enforcement officer. Police shoots have more than tripled in the last years and in one case, Dallas police were mercilessly and shamelessly shot down in cold blood so there is something going on. With protests spreading nationwide and escalating violence in the U.S. (but in other parts of the world too! ), we are seeing increased hate-crimes and groups such as the KKK being revived again. Chicago has decided to hire over a thousand new officers this year because enough people die every year in Chicago that the entire population of the town in which I live would have been wiped off the map! 461 were killed in one year alone (not even the highest figure! ), and about two thousand, three hundred people were shot in one year alone in the city of Chicago! Detroit is very close to the same and Milwaukee’s violent crimes have jumped by 73% over the previous couple of years. In Oakland, California, for example, homicides are on the rise after two years of decline just as it is in DC. In Milwaukee, 104 people were killed before the summer of 2015 was even over, and after 86 homicides in all of 2014. In New York, killings have increased by about 9 percent, to 208 through mid-August from 190 a year earlier. Protesters have shut down interstates, business districts, government offices, and even entire cities while burning and looting many of the businesses. These people are no longer protesters when they reach this point; they are terrorists! It’s becoming more like the nationwide violence that plagued the U. S. in the late 1960’s. The Justice Department has given weight to the loudest criticisms of police behavior and not listened as much to police, so as F.B.I. director, James B. Comey recently said, the additional scrutiny and criticism of police officers in the wake of highly publicized episodes of police brutality may have led to an increase in violent crime in some cities as officers have become less aggressive and are less likely to take action, so clearly, some law enforcement personnel have backed away a bit in the wake of all of the police protests and the increased attention on the police has made officers less aggressive and emboldened criminals who know this, so the criminals are taking advantage of this more-reluctant police attitude. 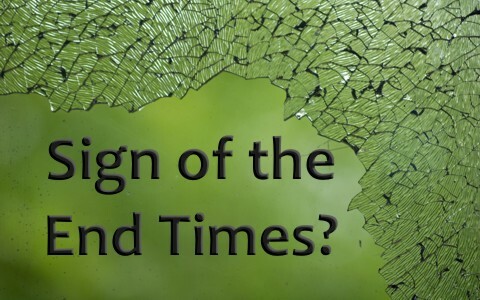 Jesus gave us clear warnings about the end times and the sign of His return in Matthew 24 and said that near the end of the age, “because iniquity shall abound, the love of many shall wax cold” (Matt 24:12) and to believers, “you will be hated by all for my name’s sake. But the one who endures to the end will be saved” (Matt 10:22). The Apostle Paul wrote “that in the last days there will come times of difficulty. For people will be lovers of self, lovers of money, proud, arrogant, abusive, disobedient to their parents, ungrateful, unholy, heartless, unappeasable, slanderous, without self-control, brutal, not loving good, treacherous, reckless, swollen with conceit, lovers of pleasure rather than lovers of God, having the appearance of godliness, but denying its power. Avoid such people” (2nd Tim 3:1-5). When the love of many has grown cold, the hate of many has heated up. Men are going to be abusive, disobedient, difficult, treacherous, reckless, brutal, and heartless, which all lead to violence. I do believe that we are seeing a worldwide increase in violence, and that increasing violence was part of the end-times scenario, so today as violence increases, particularly against Christians, it will get much worse before it ever gets better and it will only get better when Christ physically returns to judge the world in righteousness. Then those who have rejected Jesus Christ will see another flood, but this will be a flood of God’s judgment (Rev 2:8). If God has not yet brought you to repentance and faith in Christ, then today can be your day of salvation (2nd Cor 6:2). Tomorrow may be too late. Take a look at this related article: End Times: Are We in the Last Days?